Thank you for taking the time to read our plea for help. We are fundraising for the Nguyen Nga Center, a non-profit charity which has a goal to construct a new Center for vocational programs/education for children and young adults with disabilities. For many families, the burden and cost are far out of reach to provide adequate care for their children who live with disabilities. There are few Programs available in Viet Nam, government or private. With this reality, many children may not get the opportunity to change their lives. The children and families may have to face life with little hope of a better life. 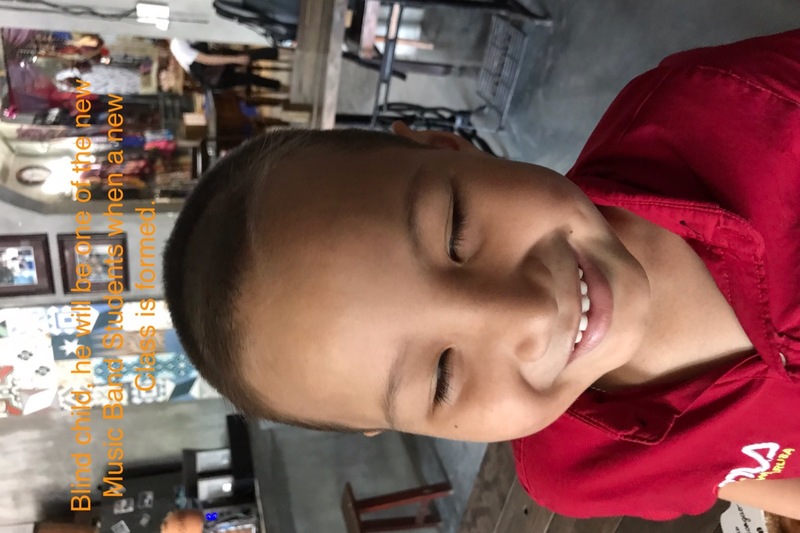 This year the Center is celebrating its 25th Anniversary of helping children and their families in our community which is located in Binh Dinh Province, Viet Nam. Children and young adults who attend NNC are taught and given valuable life skills which enable them to be productive members of their community, allowing them to provide not only for themselves but for their families as well. The benefits of doing this are tremendous to the students, families and community. Support and donations from you will allow us to continue to make a huge impact on the lives of so many people. Any and all donations go directly to completing construction of a new building to allow us to continue Programs at the Center. We cannot continue to help families without the humanitarian and generous donations from amazing people like you. Please, if you can make a donation of any size it will be greatly appreciated by all of us here. If you cannot make a donation we kindly ask that you share our story with your friends and family within your social media circles, perhaps someone you know is wanting to make a donation to our appeal or to further share NNC Story. Your small action can make a difference in the World. 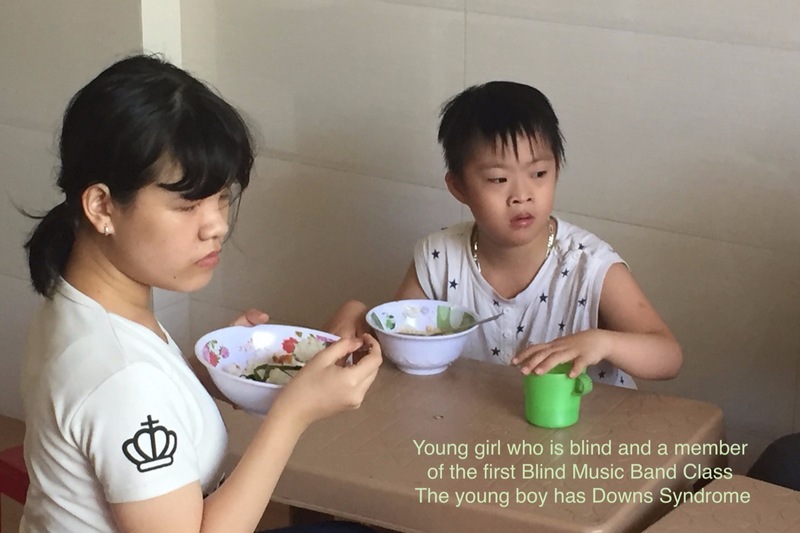 The Nguyen Nga Center provides assistance to children and young people with special needs, those with physical disabilities, blindness, deafness or mentally challenged. Our goal and mission are to help them overcome their disabilities and be a productive segment of their community, to be independent and have the opportunity to live a happy life. We all deserve a chance to live safe and happy lives. We thank you from with all our heart, the donation that you make today will help young people with disabilities receive an education and training enabling them to be productive and independent. but now I Pray that he will Guide Me to do whatever I’m supposed to do, what I can do. I used to Pray for answers, but now I’m praying for strength. Go Make a Difference in the World !!! Just a quick update. I do not know what else I can say that will touch your hearts and inspire you to donate to the NNC Building Fund. So, with this update I included some pictures of the Students and let you know where we stand in reaching our Goal. see the joy, pride and confidence of the Students first hand. But, much more is needed to reach our Goal. Co Nga has told me she will place the names of all the donors on a wall of the New Center to commemorate your compassion. It will not indicate the donation amount. It doesn’t matter how much you give but that you care and she wants the Students to see your names. Remember your donation is tax deductible as permitted by IRS Regulations. I want to impress upon everyone the importance of this NNC Fund Raising Appeal. The current structure is over 50 years old, deteriorating and leaks heavily during the Monsoon Season. NNC is expanding its Programs and admitting more Students, Downs Syndrome and Autism, in the Special Needs Class. 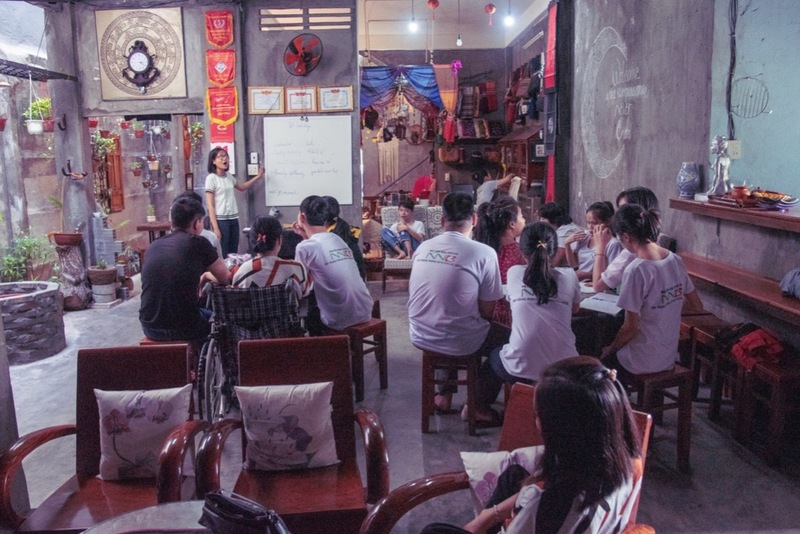 Parents are desperate to find a Program that will help their children and NNC offers the only option for them in Binh Dinh Province. NNC requires a new building that will be a sound, safe and a Handicapped Accessible building. The current structure is too small to house all the Programs that Ms. Nga wants to provide and are not available from any other organization, private or government in Binh Dinh Province and Central Region of Viet Nam. NNC is a model for other private and government organizations and will continue to be. The building will contain the following. Over the past 25 years NNC has assisted over 1500 Students to acquire skills, pride and confidence to be independent and live a useful life. NNC currently is assisting over 50 students through their Programs, boarding 30 Students in the Dormitory. Education and Training is provided free of charge. Most of the Students come from poor families. The age range of Students is from 7 to t 30 year of age. A friend of the Nguyen Nga Center and a Viet Nam Vet, wrote and published a book and is donating 100% of the proceeds from its sale to the NNC Building Fund. Please visit the site below to learn about and purchase the book. Please consider donating to the Building Fund or purchase “Minnows” for some enjoyable reading and to give as gift to family and friends. Remember the price of the book will be donated to the NNC Building Fund. Your donations pass - through Asia Connection Inc. (ACI) a registered 501 (c) (3) non-profit organization. Your donation is tax deductible as permitted by IRS Regulations. Thank you for your interest and compassion. During this Holiday Season of Love, Hope, Caring and Giving - Will you help us provide the path for young people with disabilities to go from exclusion and despair to empowerment, hope, and achieving independence? Five years ago members of the Music Band Class came to the Center looking for the opportunity to change their lives. Co Nga had confidence in them and the Program she was envisioning. A couple from Australia was inspired by her vision and enthusiasm. They provided the initial sponsorship for the Music Band Class, AHF – All Have Fun. 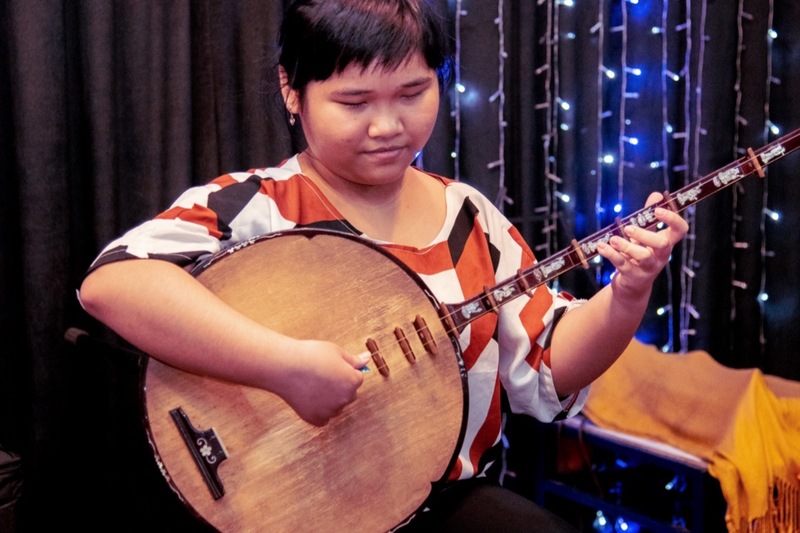 The music teachers had to be convinced that blind students could learn to play the Traditional Vietnamese Instruments and perform as Band. Last year, after 4 years of study, the 12 Member Music Band Class graduated. Each member not only learned to play one instrument but 2, 3 or more. They returned to their hometowns and are finding individual work playing music. They perform at funerals, weddings, birthdays, reunions, karaoke establishments, Pagodas and special programs. Occasionally they will get together as the Band to perform at special functions. The Band is shown in front of the current Center. 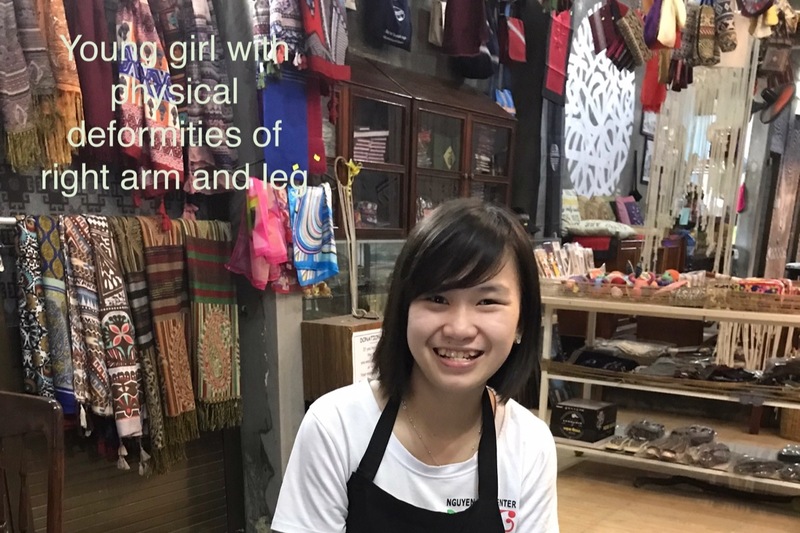 This is just one of the success stories out of hundreds achieved by the students who had the opportunity to get an education and vocational training at the Nguyen Nga Center. You have the opportunity and the ability to help these very successful Programs continue and grow. Please join the campaign to acquire funding to construct a new building for the Nguyen Nga Center. It is such a small cost for what a new Center will provide for these young people with disabilities. Will you please give the students and families a chance at a better life by helping? Like and share this site with your social media family and friends. Any size donation will help us reach our goal to be able to continue to help provide opportunities to young people with disabilities reach their fullest potential. Be sure to view the Video of Nguyen Nga Center’s founder and director. Wishing you all the Peace and Happiness of the Holiday Season and thank you for helping to change lives during this time of Giving! Monday 3 December is International Day for People with Disabilities. The Theme for International Day for People with Disability 2018 is ‘Empowering persons with disabilities and ensuring inclusiveness and equality’. According to the United Nations, 2018’s theme focuses on empowering people with disabilities for an inclusive, equitable and sustainable development as part of the 2030 Agenda for Sustainable Development. It aims to increase public awareness, understanding and acceptance of people with disabilities and celebrate their achievements and contributions. People with Disabilities face many barriers as they live their daily lives. Please consider helping them by making a donation for a new-handicapped accessible Center for those with disabilities in Quy Nhon. Considering the challenges that people with disabilities face in their daily lives it is vital that the global community works to mainstream disability across all development sectors. A recent report from The Expert Group Meeting on Mainstreaming Disability in MDG Policies, Processes and Mechanisms: Development for All suggests that the MDGs can only be achieved with the inclusion of people with disabilities. Disability-inclusive MDGs would serve to implement a number of the substantive Articles of the Convention on the Rights of Persons with Disabilities (CRDP). While the CRPD does not introduce new rights it reaffirms the need to promote and protect the human rights of people with disabilities in civil, cultural, economic, political and social life. Education is about all people being able to learn what they need and want throughout their lives, according to their potential. It includes “learning to know, to do, to live together and to be”. Poverty, marginalization and discrimination are the main barriers to inclusive education. It is estimated by the United Nations Educational, Scientific and Cultural Organization (UNESCO) that over 90% of children with disabilities in low-income countries do not attend school; and an estimated 30% of the world’s street children live with disabilities. For adults with disabilities, the literacy rate is as low as 3%, even as low as 1% for women with disabilities in some countries. From these figures, it is evident that steps must be taken to ensure access to education for all children with disabilities. The target is for children everywhere, boys and girls alike, to be able to complete a full course of primary schooling. This applies equally to children with disabilities, and hence Community-Based Rehabilitation (CBR) needs to contribute to achieving this target. Viet Nam does not currently participate in the Global Community-Based Rehabilitation Development Strategy. However, in reading the Goals of CBR I have discovered that the Nguyen Nga Center (NNC) has or is trying to implement all their Goals. NNC aims to provide rehabilitation, reduce poverty, equalize opportunities and promote the inclusion of disabled people in their communities. It focuses on four key development areas – health, education, livelihood and social and promotes mainstreaming and empowerment. With proper support, funding and a building, NNC can move further towards the implementation of the Policies of MDG for CRPD. NNC needs your help in acquiring a new building to provide the education and training to people with disabilities. NNC will be able to extend its outreach in the community and be a model in providing a building that is both completely handicapped accessible and safe. It will provide classrooms and training areas for the disabled. An area for the sale of products made by the students and venues for education and training for community-based employment opportunities. I urge you to view the video of Ms Nga, found in a previous update and be inspired, as her students are, donate what you can to the construction of a new building, a Tower of Hope for people with disabilities. Please also like and share our fundraising site on all your social media sites.